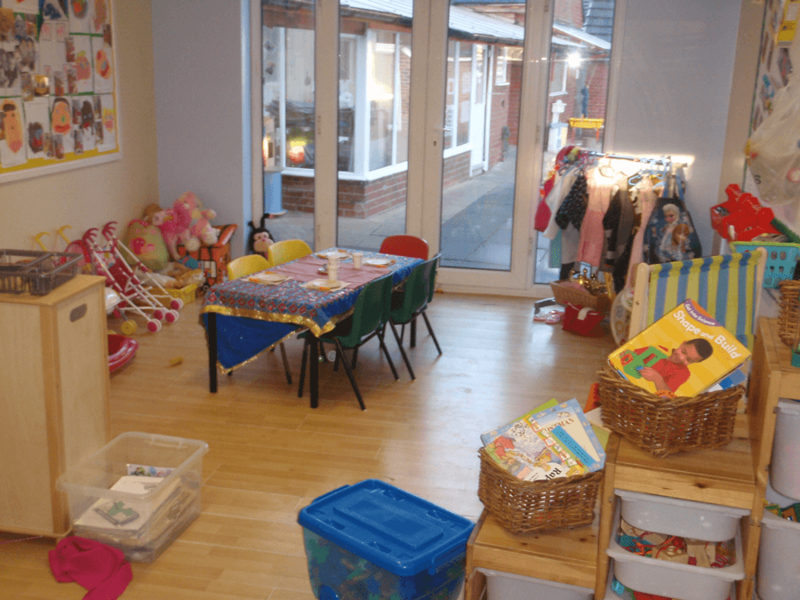 In the pre-school building there are two separate rooms, the children also have the use of a third room which is shared between both Pre School and Toddlers. The rooms are well equipped and challenging for the Pre-school children with us understanding this important phase of development, this is also where we prepare children for school. Our staff have an up to date knowledge of the Early Years Foundation Stage Curriculum. We constantly attend training sessions to keep our knowledge current. Children’s individual records can be accessible through our online Capture Education. Children in pre-school are encouraged to follow their own interests and this is helped by providing materials and resources, with everything within easy reach for the children to access and make their own choices. In pre-school we encourage adult-led and child-led activities with emphasis on creative and critical thinking, active learning and playing and exploring. Through this our children will learn, personal, emotional and social skills, communication and language, and physical skills. Our staff work hard to make this important transition period into school as easy and enjoyable as possible. The children have the use of continuous provision play where they have the choice to be either indoors or outdoors, they are supported in all seven areas of learning throughout their choice. Our Day Nursery in Childwall, Liverpool offers your child the very best of care and stimulation in a safe and secure environment.